Tucked between the mountains and the sea and boasting a near-perfect year-round climate, Montecito has become one of, if not the most exclusive and attractive communities in the world. Home prices begin at nearly $2 million and go up to $45 million and more. Along with a coterie of movie stars and celebrated authors, some dozen billionaires either call Montecito home or maintain second homes here. Montecito’s is one of the wealthiest communities in the entire nation and is home to beautiful estates, great restaurants, boutique shopping, and grand hotels. 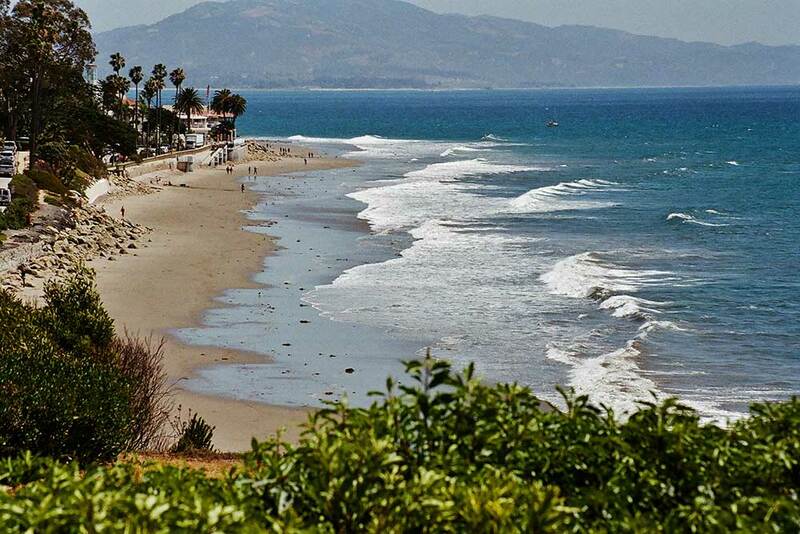 The site of present-day Montecito, along with the entire south coast of Santa Barbara County, was inhabited for over 10,000 years by the Chumash Indians. The Spanish arrived in the 18th century, but left the region largely unsettled while they built the Presidio and Mission Santa Barbara farther west. In the middle of the 19th century the area was known as a haven for bandits and highway robbers, who hid in the oak groves and canyons, preying on traffic on the coastal route between the towns that developed around the missions. Finding an area reminiscent of Italy, they built farms and gardens similar to those they had left behind in Italy. Around the end of the 19th century, wealthy tourists from the eastern and midwestern United States began to buy land in the area. It was near enough to Santa Barbara for essential services while still being secluded. Desirable weather and several nearby hot springs offered the promise of comfortable, healthy living, in addition to the availability of “affordable” land. There are two distinct commercial areas of Montecito: the Upper Village and Coast Village Road. In the Upper Village, a small shopping area between San Ysidro Road and Santa Angela Lane, contains a hardware store, grocery store, post office, gas station, stationery store, bookshop, three banks, a frame & art store, photo shop, two jewelry shops, hair salons & fragrance shops, a brokerage firm, drugstore, coffee shop, deli, real-estate offices, antiques, architects, dry cleaners, cheese shop, clothing & houseware boutiques, and three Italian restaurants. The Montecito Village Shopping Center is indeed the hub of this unique community. Coast Village Road has a myriad of restaurants, real-estate offices, banks, boutiques, delis, hotels, motels, art galleries, video stores, pizza parlors, banks, jewelry stores, exercise salons, ice cream & gelato shops, etcetera, and is often compared to Rodeo Drive, although far more laid back; the number of clothing and accessory shops along Coast Village Road are limited and none are as ostentatious as their Beverly Hills counterparts. There are three private golf courses in Montecito: Birnam Wood (designed by Robert Trent Jones), The Valley Club (designed by Alistair McKenzie, co-creator of Augusta National, site of the Masters), and Montecito Country Club (landscape architect Max Behr’s original design is about to be altered by Jack Nicklaus). The Knollwood Tennis Club offers both swim and tennis clubs for their members. The fabled oceanfront Biltmore Hotel is now the Four Seasons Biltmore and is one of the few five-star establishments in California.